A year ago, we began to notice a surge in live streaming web series, a rush that came as the technology and platforms finally caught up to the growing demand from creators for direct interaction with their audiences. Platforms like Ustream, Stickam and Livestream made “going live” even simpler than uploading a video to YouTube. And for creators who sought out a more professional setup than static webcams, new inexpensive tools like the NewTek Tricaster made multi-camera switching suddenly within reach. TheStream.tv and maniaTV were some of the first online networks of live shows, using custom-built studio space to run their multi-camera broadcasts and lively chat rooms. The trend saw a noticeable uptick in 2009, so much so that we dedicated a whole night to exploring the lure of live streaming web shows at the Going Live panel at the October Web TV Meetup. Then came news this spring that Mahalo founder Jason Calacanis had spun off his crop of live streaming shows into its own funded network, ThisWeekIn. Even Diggnation’s Kevin Rose is now launching a live web show later this year. And Streamy-winner Mike Rotman runs a 6-camera ‘Streamin’ Garage‘ studio in Los Angeles with its flagship series Stupid For Movies. A new live streaming network has emerged on the scene from two Hollywood veterans with some deep connections to mainstream talent. Michael Davis, a former CAA agent, and Robin Ruzan, a comedy writer and producer, launched The Room Live, a network of online shows, in January of this year. From a converted loft just off of Hollywood Blvd., their studio now boasts seven shows ranging from comedy to talk to live music and even a bachelor-minded cooking show—The Single Chef with Matt Skollar. Their flagship series is a head to head game show, Celebrity Liar, that pits two notable celebrities—often TV actors—against each other in a contest to see which one can bluff the host with a story. One of them is telling the truth and the other is not. I had a chance to visit a live broadcast of Celebrity Liar, with Reid Scott and Jamie Kaler, stars of TBS’ My Boys, trying to poker bluff host Andrew Hill Newman with some outrageous childhood stories. The crazy part being that one of them was actually telling the truth. (See episode above). We caught up with The Room Live’s producers Davis and Ruzan to find out more about their business model, and just how exactly they had already managed to score an impressive roster of talent guests that includes stars like Helen Hunt, Hank Azaria, Jon Lovitz, Matthew Perry, Kevin Pollak, Diablo Cody and Sheryl Crow. What became apparent is they are looking at online series as part of the broader entertainment landscape, hoping to incubate promising series that could make the leap into more lucrative platforms like film and TV. 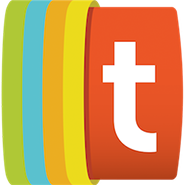 Tubefilter: What drove you both to launch The Room Live? Michael Davis and Robin Ruzan: We have known each other for many years, and when Robin came up with the idea for The Room Live she knew it was a good one, but didn’t know the first thing about how to execute it. She called Michael as he was someone who not only had a strong background in the entertainment industry, but had also created a business on the internet. Michael sparked to the idea, and what proceeded were epic long discussions and brainstorming sessions resulting in a unified vision for what’s possible… As we did our research we came to the conclusion similarly to what a friend in the cable industry suggested — that the only barriers to entry now with the internet, and yet at the same time the challenges, are creating ‘good content with good talent’ — something our backgrounds, networks and ambitions supported, so we decided to go for it. 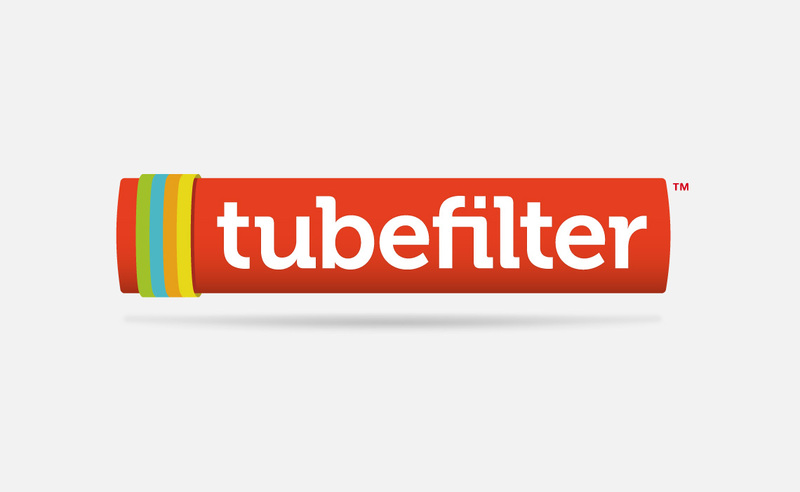 Tubefilter: What’s your vision for where this will go? MD & RR: We aim to build a network of unscripted shows in 5 main categories: Talk, Music, Game Shows, Cooking and Comedy. We are currently shooting live shows 6 days a week including a show on Saturdays with Oprah Radio. In the few short months we have been live we have shot over 125 episodes of traditional length content (30/60 minute time blocks) with such talent as Matthew Perry, Sheryl Crow, Nia Vardalos, NFL Networks’ Rich Eisen, iCarly’s Jerry Trainor, American Idol’s Kimberly Caldwell, the casts of the film “Twilight“, as well as TV shows Cougartown, The Closer, My Boys, including Academy Award winners Helen Hunt and The Swell Season as well as many many others. Tubefilter: The business model appears to be more about finding and developing hit series that can transition to other media, rather than building a primarily ad-supported network of online shows. Is that accurate? MD & RR: We’re not sure the revenue possibilities really exist currently to build a solely ad-supported business without a large amount of capital including a marketing budget to build a massive audience, and even then it may be early. When you see companies like Hulu thinking subscription you have to believe there aren’t the ad dollars available. Tubefilter: Are you looking for new shows? MD & RR: We are always looking for new shows, and would like to double and triple our output over the coming months. We mostly use the traditional Hollywood system and network, but are open to new ideas wherever they may come from—though we tend to stick with established talent and partners. Tubefilter: Is web television emerging as a development league of sorts for traditional TV? Or is web television heading towards a sustainable future where mass audience will tune in online and deliver significant ad revenues for creators? MD & RR: The latter is hopefully where it’s going, and the former is a by product of producing good content that people want to see. Tonight’s episode of Celebrity Liar features a face off between Neil Flynn (Scrubs, The Middle) and Carlos Alazraqui (Happy Feet, Reno911!). The live stream begins at 7 PM (PT) at TheRoomLive.com.